Professional guitar lessons. Anytime. Anywhere. Six Month Guitar is a thorough step-by-step online video-based program where Jeb Hart will teach you everything you need to know about playing rhythm guitar (well). Jeb will break down his techniques for playing complex rhythms, adding texture and dynamics to chords, transposing keys on the fly, and reading charts using the Nashville number system ALL while showing you how to play some of the hottest songs from rock, pop, country, and singer-songwriter charts. 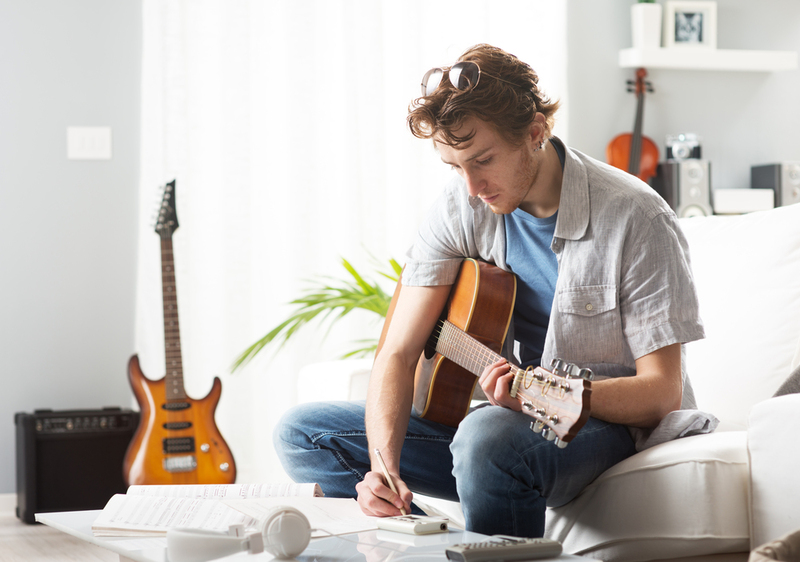 Regardless as to if you are a beginner, a touring artist, or a seasoned songwriter, Six Month Guitar will have you playing better within the first few weeks. Six Month Guitar will help you get there. Opportunity's Knocking. Are You Ready? Copyright 2015-2019. Trademarks and Patent pending. Duplication or distribution of content is prohibited.